If you have an empty lot and need a new home built on it, you need the services of a construction company that would be able to handle every aspect of the project. Experience, skill, creativity and the right resources are all very important in projects such as these. This is where we come into the picture. 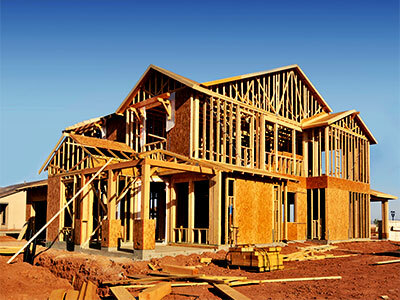 We at Big Kahuna Construction Inc. are a unique company that provides excellent ground up construction solutions to clients in and around Phoenix, Sun City, Peoria, and El Mirage. Creating stunning homes and ensuring that clients get custom solutions has helped us build a solid base in Scottsdale, Tempe, Glendale, and Surprise. Our expertise in this space has seen us create amazing structures in Sun City West, Goodyear, and Sun City West. Many property owners from the surrounding areas like Avondale and Mesa contact us for all their ground-up building requirements. As a company that has been in this space for a number of years, we know what it takes to provide customized services to our clients. What’s included in Our Ground-Up Services? Our custom ground-up construction covers everything from the plans and designs to handing over the keys to you. We have developed a very strong reputation in the industry and are one of the most respected general and remodeling contractors in the region. Not only do we have the expertise to actually prep a lot, design and build a home but can also handle all the interior design and installations for you. We are proud of the fact that we not only provide perfectly finished products but also build strong relationships with our clients. It’s why we have a large number of repeat clients. They hire us for their new build, remodeling, extension, additions and landscaping requirements. Our commitment to quality, reliability and perfect project management are unmatched in the industry. We have the experience to manage the complete construction process for projects of any size and shape. You can rest assured that your project will be handled with outstanding perspective & integrity. Ground up construction is entirely different than remodeling and renovation jobs. The complex nature of the tasks involved and the detailing required make it necessary to hire a local general contracting company like ours. The experience and expertise we bring to the table is what makes us the first choice for ground-up construction projects in the region. If you need any kind of custom home construction done, we are the turnkey contractors to call. With us, you are assured of top-notch services at the most competitive rates. For more information, call Big Kahuna Construction Inc. at 623-566-8809. You can send us your queries using this online form.